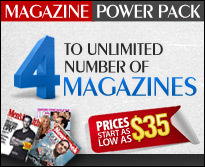 Account Login - Discount Magazine Subscriptions at low and wholesale prices. If you are an existing customer please enter your email address and password below and click 'Login' to automatically login into your account. Lost or forgotten passwords may be recovered here.